Hot pot. Made possible by liberal food handling standards, and generating hilarious menu mis-translations (my two faves are "adequate quality beef" and the appetizing "fleshy round mass of fish"). 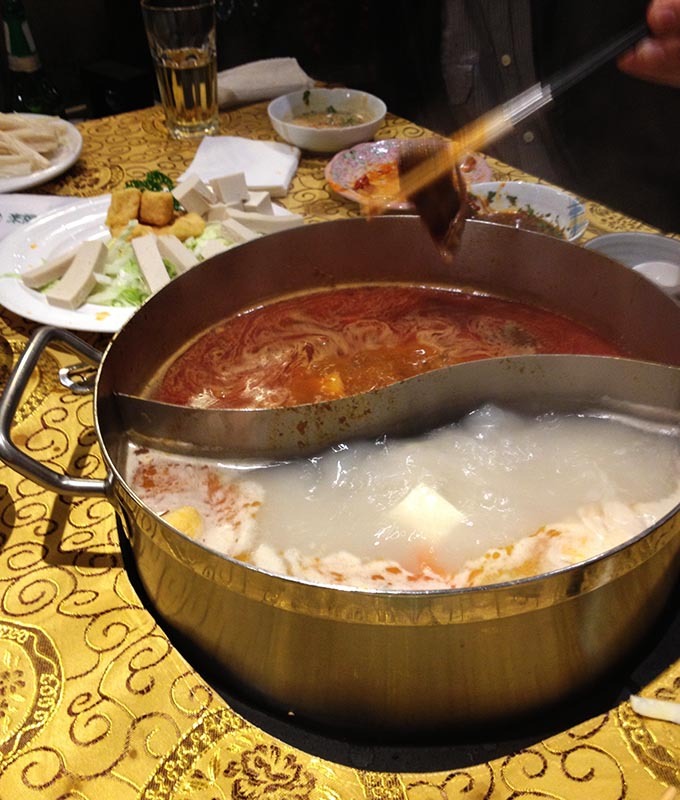 Hot pot varies by region, but always involves a big pot of bubbling broth. Various kinds of meat, tofu, vegetables, dumplings, and noodles are then dipped into the boiling broth until cooked to the diner's taste, dipped in a tasty sauce, and washed down with copious quantities of Tsingtao beer. It really helps to be good with chopsticks, since tofu can be especially tricky to hold on to. Extended hot pot dinners are just the ticket for a long, cold winter evening. What are you eating this time of year?